QuantumListing is on a quest to create unparalleled value for its members and visitors. Our partnerships with leading CRE tech companies are an important component of that effort. One of the ways we add value for users is by seeking out innovative partnerships. You can read about our alliances with StackSource, Buildout and Leavitt Digital on the linked blog posts. Our newest syndication partnership is with SharpLaunch, which we announced today. 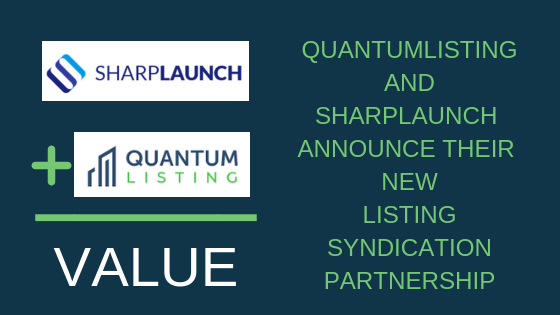 WHITE PLAINS, N.Y., October 29, 2018 /PRNewswire/ -- SharpLaunch and QuantumListing have announced the immediate availability of their listing syndication partnership. SharpLaunch clients’ listings can now be found on QuantumListing.com and are updated in real time as the listings are modified. 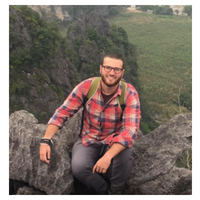 QuantumListing does not have a paywall for searching listings, so everyone is welcome to find the information needed to contact the listing agents and owners to do deals more efficiently. "The syndication partnership with SharpLaunch is another important step toward our goal of making QuantumListing the go to solution for marketing and searching commercial real estate online. The relationship between SharpLaunch and QuantumListing benefits not only the two companies’ customers, but everyone in the commercial real estate community, including tenants and investors, by making more listings freely available through our rapidly growing service,” said David Perlmutter, Founder of Jeomark LLC, QuantumListing's parent company.